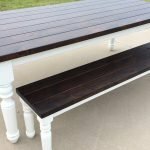 After staining, your furniture is completely sealed, and then we apply multiple coats of satin high-end polyurethane to protect your piece. This process also makes it easier to maintain its beauty. Our finishing products withstand every day use better than typical polyurethanes, waxes, or oils. Can I make custom requests to the standard styles? Absolutely! Our goal is to help you find the perfect piece for your home. Please contact us to discuss your requests. Sometimes. It depends on the complexity of the project and whether or not we can fit it in to our production schedule. If you have a photo or sketch of something not shown on our site, we would be happy to take a look at it and discuss the possibilities. Please contact us to discuss your project. Do you deliver your furniture? 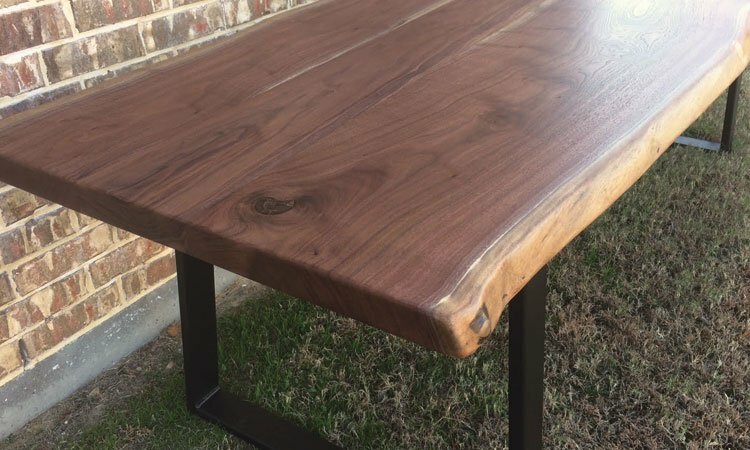 We deliver our furniture all over the Dallas/Fort Worth metroplex, or if you prefer, you are welcome to pick up your order from us at our workshop in Aubrey, Texas. If you have a question concerning your new furniture and whether it will fit into its final delivery location- ask us! When planning for and considering your furniture delivery please remember to consider elevators, stairwells, corridors, around corners, through doorways and past any obstacles that might stand in the way. As much as we are here to help, you, the customer, are ultimately responsible for ensuring that the furniture will fit into your delivery location. Unfortunately, furniture may not be returned to Rustic + Modern due to complications regarding physical delivery of your order. Rustic + Modern will not issue refunds in the event that the furniture does not fit in your space. How long will it take to get my piece of furniture? All our projects are hand crafted from choosing the perfect boards, expertly crafting, and meticulously finishing, so there is a bit of wait time as we create your customized piece. From the day you book an order to the day it’s ready for delivery/pickup, you are typically looking at 4 – 8 weeks. This can change throughout the year, so please be sure to confirm with us if you are trying to hit a specific date. We will do our best to accommodate you! And of course you are always welcome to check in with us on the status and timing of your order. If you’re in a hurry to get your piece, make sure to ask about our Rush option. We want you to be completely happy with your new furniture. Each Rustic + Modern piece is handcrafted to the highest standards of care and commitment to quality. If you are displeased with a product you have received, we will work with you to resolve the issue. However, many characteristics of natural wood are subjective, and while our furniture is manufactured to withstand as much variation in temperature and humidity as possible, real wood can occasionally warp/move. 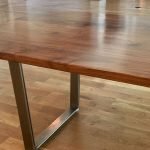 Excessive wood movement (shrinking / expanding / warping) and other, rare structural defects are covered for 90 days if the furniture was stained and finished by Rustic + Modern. Please visit our terms & conditions page for more warranty information. For everyday care we recommend using a clean, soft cloth and mild soap and water or a natural cleaner. When your furniture needs polishing, we suggest using Orange Glo Wood Furniture 2-in-1 Cleaner & Polish and Howard Feed-N-Wax Wood Polish and Conditioner. Harsh chemicals, such as bleach, can eat away at the finish over time and should not be used on your furniture. Placing hot items on your furniture can damage it, so use hot pads before setting down serving dishes or other hot items. Cloth placemats can also help to protect the finish. Just like homes shift in the summer and winter months, your wood furniture can warp if exposed to excessive temperatures or humidity, so avoid extreme exposure. If extensive repair is needed, please contact us – your table can almost always be returned to its original finish quality. Where can I buy Rustic + Modern furniture? Our furniture can only be purchased directly through us at Rustic + Modern — either on our website, by phone, or at our workshop. It is not sold by any other retailer. 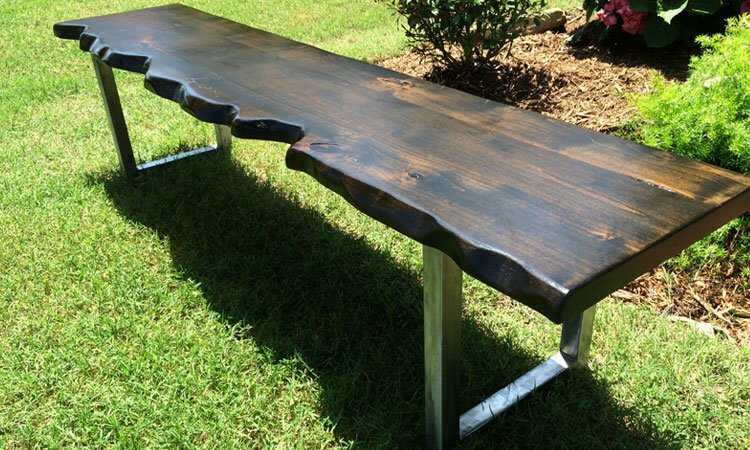 Having no “middle-men” allows us to sell high-quality, custom, handmade furniture at reasonable prices. Buying furniture from Rustic + Modern is simple. You can buy on our website by selecting the piece you want and choosing customization options. Simply add your custom pieces to your shopping cart and checkout. You can choose to pay a 50% deposit or pay in full. If a 50% deposit is chosen, then the remaining balance is due upon project completion, either when you pick up your furniture at our workshop or prior to delivery. You can also place an order by giving us a call or by scheduling a visit at our design center. How do I know if you’ve received my order and what are my payment options? Customers will receive an order confirmation via email for all online orders or will receive paper confirmation in person for orders placed at our design center. It is the customer’s responsibility to review the order for accuracy and report any discrepancies in product, quantity, etc. Inaccuracies must be reported within 7 days of order placement. 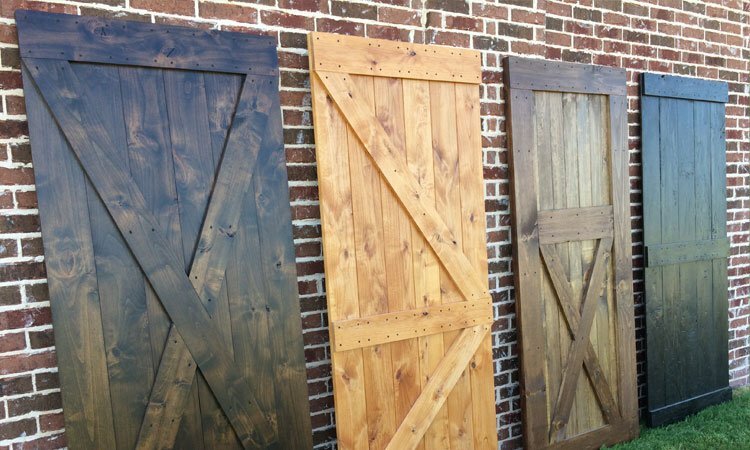 Rustic + Modern requires a 50% deposit for orders over $500 to begin production. The remaining 50% is due upon project completion (prior to delivery). Orders less than $500 must be paid in full at the time the order is placed. We accept cash, PayPal and all major credit cards. Prices are subject to change without prior notice. Please be sure to contact us directly regarding any pricing questions or concerns. Once your order payment has been received, you may cancel or adjust the original order within 7 days without incurring additional charges. In some cases, your made-to-order furniture will be in our production process after the 7-day period. 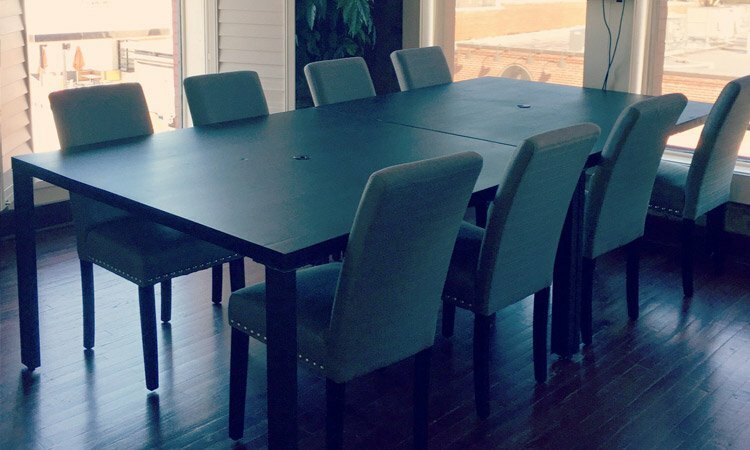 We understand that buying custom furniture is a big decision and we work with every customer to set clear expectations of quality, wood character, color, and delivery timing prior to processing your order. Upon receipt of your 50% deposit we will begin your project. Your completed project will be delivered once all balances are paid in full, no exceptions. All orders are non-refundable following the 7-day grace period from the time that payment is received. Due to the unique nature of custom pieces, all sales are final. How exact are the measurements of my order? All measurements presented on this website and contained within your order details are estimations only. Wood is a natural material that will expand and contract during the cycle of a calendar year. Changes in humidity and prolonged exposure to sun, water, and air will affect natural wood products. Table top thickness dimensions are accurate with a tolerance of +/- 0.25″. Overall furniture measurements (length, width and height) are accurate within +/- 0.50″. 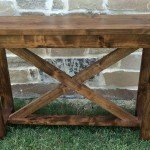 What are the characteristics, quality, and age of the woods used for projects? 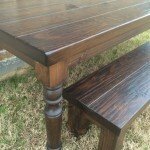 Creating a unique and individual piece of furniture to meet your needs is our passion. 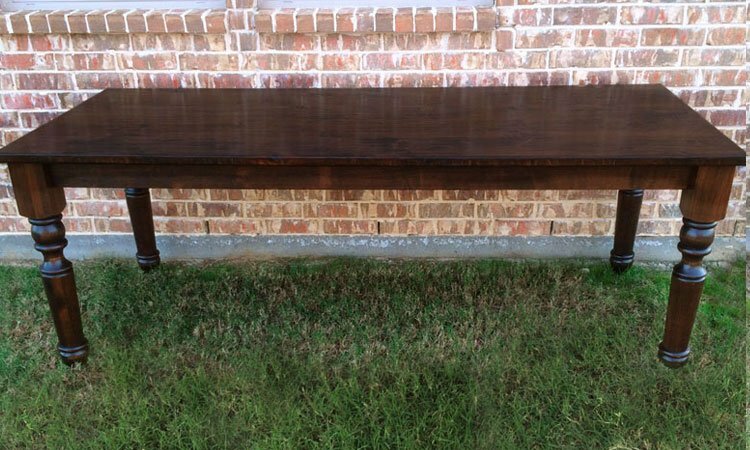 Rustic + Modern uses a both new wood and historic materials dating back over 100 – 200 years. Our historic materials have less consistency in the way they look and are more subjective to each person, but the beauty in our furniture lies in its durability, quality, and utility. Because there are so many variations in wood such as knots, grain pattern, color, and other character marks, we cannot guarantee that any two pieces will be identical. Our furniture is non-returnable due to wood movement, knots, nail holes, open cracks, dimensional qualities, and other natural features of solid wood construction. Can colors and stains be matched to a customer provided sample? Wood is a natural material that varies in grain pattern, color, and texture from inch to inch, and we cannot guarantee that every board of your furniture will match an approved sample exactly. We offer no guarantees for color matching and our furniture is non-returnable due to color, stain, paint, and matching issues. 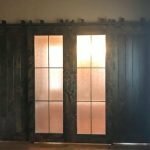 Can I get a sample of the wood and stain color to be used for my project? Yes! After your order is placed, we can provide up to 3 small wood / stain samples, free of charge. Or, if you prefer to order samples prior to ordering your furniture, they are $10 – 15 each. If you place a furniture order after you receive your samples, then the price you paid will go towards the cost of your furniture. Please note that samples are intended for grain, texture, and color approximations. Wood is a natural material and can vary significantly from board to board. Rustic + Modern makes no guarantees that our samples fully represent the variation expected across the species chosen. We would love to answer your questions! Just go to our Contact Us page and you can fill out an easy inquiry form.